TiTach™ is indicated as a removable attachment of a full arch prosthesis when used in pairs and for a partial arch prosthesis singly. Due to high retention of these attachments maximum of two attachments are indicated per arch. 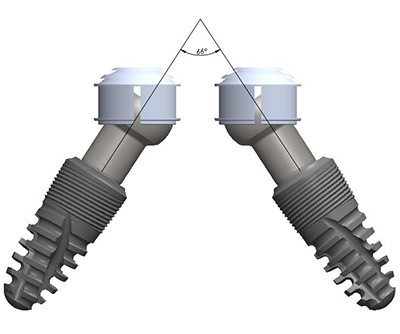 TiTach™ can be used for indications requiring up to 30 degrees divergence for a single implant, or up to 60 degrees divergence between two contralateral implants. 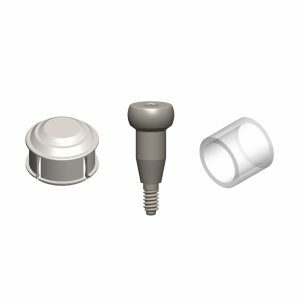 TiTach™ employs a metal-to-metal interface between the cap and abutment, unlike nylon attachments such as Zest’s Locator® system. Compression of mucosa during function & parafunction. Gradual seating of prosthesis in between relines due to bone resorption. TiTach™ is able to resist between 7 lbs to 10 lbs of force. The TITACH™ Attachment System consists of three parts.